If your sewer lines are backing up or simply moving slowly, they may need to be flushed. 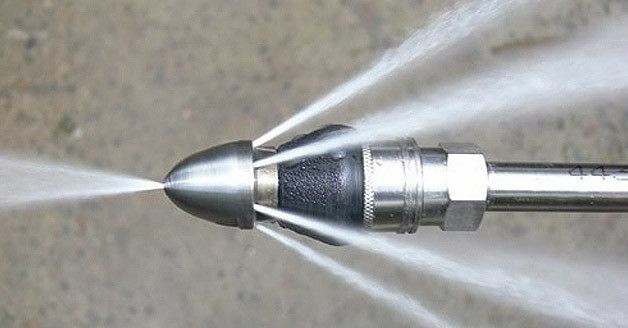 At Downey Plumbing we know the most effective way of doing this is through high pressure hydro jetting. Hydro jetting your sewer lines helps loosen buildup of debris that collects as your water flows through the pipes carrying waste and other deposits downstream. As water flows through your pipes some debris including hair, grease and mineral deposits may collect causing your lines to be sluggish. Hydro jetting can help when other methods, such as plungers or snakes, do not seem to resolve the slow-flowing water issues. Hydro jetting allows us to clean all the debris out of your pipes by loosening roots, mineral deposits and other common causes of clogs. Call Downey Plumbing today if you are noticing the effects of slow moving water and let us help clean out these lines. Regardless of whether your sewer line problems are in a residential or commercial property, Downey Plumbing can help.